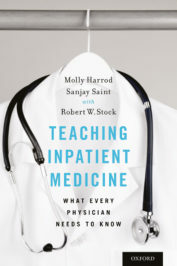 From the building of collaborative teams to the uses of humor, empathy, and frustration, Teaching Inpatient Medicine is a treasury of actionable practices that will inspire and empower teachers and learners alike. Attending physicians, the physicians who train interns and residents on hospital wards, have always borne a heavy responsibility. They are accountable for the level of medical care received by each succeeding generation of American patients. But today, these physician-teachers confront unprecedented obstacles. How well they meet the challenge may have long-term consequences for patients and for the medical profession as a whole. This turning point in medical education was the inspiration for our in-depth study of 12 of the nation’s outstanding attending physicians. We observed them as they interacted with learners and patients, and interviewed them, as well as some of their past and present learners, to provide a glimpse of what the future of clinical education could look like. The most important form of clinical training takes place at the patient’s bedside, yet attending physicians have less time to spend with learners on patient rounds. Due to the mandated reductions in the length of the learners’ workday and because hospitals are discharging patients sooner than ever before, there are fewer hours for learners to follow the care of any one patient. Meanwhile, learners continue to spend a great deal of their limited time behind a computer screen documenting care rather than administering care. Attending physicians must also cope with a seismic change in the hospital environment. In days past, they personally provided or oversaw most of their patients’ hospital care. That is virtually impossible today. Attendings are now part of an interdependent team that encompasses not just learners but nurses, pharmacists, radiologists, and other specialists. Teamwork requires such personal qualities as empathy and communication skills, which were not particularly noticeable among attendings of previous generations. Those same qualities are in demand as hospitals have become more focused on satisfying patients (aka customers) rather than physicians; hospitals expect their physicians to view patients as partners in their care and to treat them with a full measure of respect. Although the 12 attendings exhibited a variety of individual behaviors and techniques, we found that they shared a dedication to the following central propositions: the team environment should be supportive, and the teaching should be team-based and patient-centered. The 12 attendings set high standards for their medical team (typically a senior resident, two interns, and several medical students) but they were aware performance anxiety is not conducive to learning. They created an atmosphere that was cooperative and trusting, rather than competitive. To achieve that goal, the attendings established personal connections with individual team members, exchanging life experiences and jokes. The attendings emphasized that they themselves were students, always learning, and urged team members to challenge their findings when there was a disagreement. The attendings used their own past mistakes to illustrate their teaching and to demonstrate that mistakes, though obviously to be avoided, will happen and are an essential aspect of learning. Major missteps were corrected in private to keep from publicly embarrassing learners. The 12 attendings put the team in charge of patient care, while demonstrating that they were available, 24/7, when needed. They positioned themselves as members of the team, rather than the leaders; giving that task to the senior resident. The teams were constantly told to question every diagnosis and every treatment plan, to develop and test multiple hypotheses and alternatives. 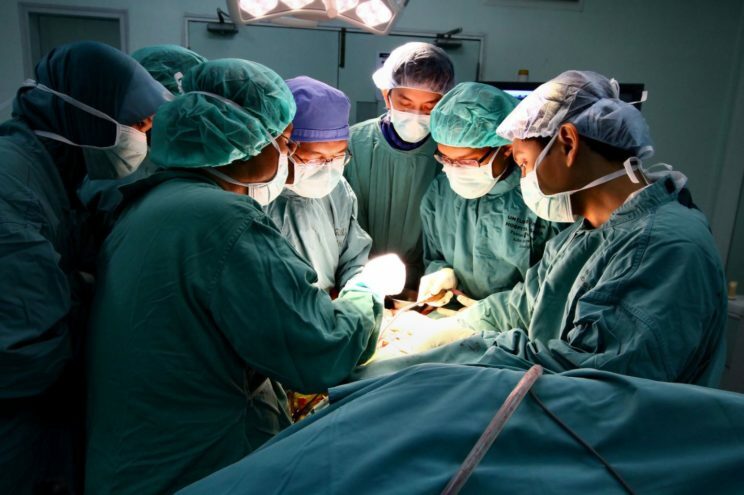 Medical/Surgical Operative Photography by Phalinn Ooi. CC BY 2.0 via Flickr. The attendings engaged their teams in discussions of a few key points, rather than delivering lectures filled with facts to be memorized. Instead of simply correcting a learner’s conclusion, the attendings would ask the learner to explain, step by step, how he or she got there. The Socratic method of questioning was used to explore learners’ understanding of the material and guide them toward the best answers. The attendings shared with their team their own reasoning process in arriving at a diagnosis or treatment of a patient. In their capacity as role models, they wanted to show how seasoned physicians think about medicine. In their behavior with patients, the attendings modelled the kind of safe patient care they expected of their learners. They washed their hands before and after every patient visit; they placed the stethoscope directly on the skin rather than over the patient’s gown when listening to the lungs or heart. Before going on rounds with their teams, the 12 attendings reviewed the medical records of their patients allowing them to prepare some key teaching points during rounds. The 12 attendings sought to create rapport with patients, greeting them in a friendly, upbeat manner; empathizing with their discomfort; explaining medical issues in layman’s language. Patients were treated with kindness and humility. The concern for patients’ welfare extended to their post-hospital lives. The attendings started their teams thinking about the patients’ discharge when the patients first arrived on the unit, and included for example, proper transportation home options, patient care at home, and patient insurance coverage. If the future of clinical education rests in the hands, minds, and hearts of physicians such as these, learners and patients will be well served. Featured image credit: Hospital by skeeze. CC BY 2.0 via Pixabay. Molly Harrod, PhD, is a medical anthropologist at the VA Ann Arbor. Sanjay Saint, MD, MPH, is the Chief of Medicine at the VA Ann Arbor Healthcare System and the George Dock Professor of Internal Medicine at the University of Michigan. They are co-authors of “Teaching Inpatient Medicine: What Every Physician Needs to Know” just published by Oxford University Press. This essay reflects the personal views of the authors only and not those of the Department of Veterans Affairs.